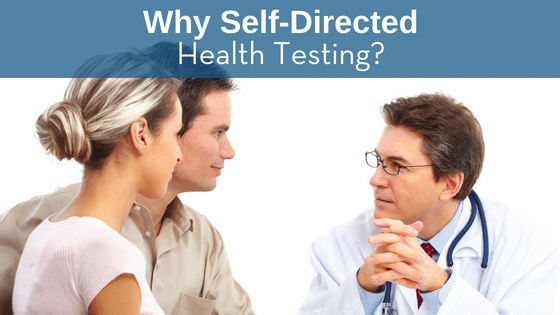 Why Self-Directed Health Testing at Test Smartly Labs? Many people try not to go to the doctor because they don’t have insurance, they don’t want to fork over out-of-pocket costs, or be forced to supply co-pays. Test Smartly Labs can serve you even if you don’t have insurance. If you have symptoms and want to rule out different medical conditions or want to know the general state of your health, we can provide the tests you need. Another reason many people prefer our self-directed testing options is that we don’t require appointments. Our clean, comfortable waiting rooms aren’t full of people in line to see the doctor. Research has shown that going to the doctor’s office for wellness visits can actually make kids get sick, and the same is true of adults. Our quick service enables you to know your health status without getting exposed to nasty germs. One of the downsides to visiting the doctor is the trial and error approach. Patients can present symptoms that could be several different diseases, and physicians conduct several rounds of tests to rule out certain culprits. This can lead to many rounds of tests, which can be costly and inconvenient. At Test Smartly Labs, we offer a range of comprehensive health testing panels. Our health tests are bundled to save you costs and find answers quickly. We can provide more information from the start thanks to our panels of health tests, rather than having you come back, again and again, to find out what is making you sick. Take charge of your health with self-directed testing at Test Smartly Labs. Our basic health tests can provide baseline numbers for your cholesterol, heart health, hormone levels, etc., and help you to identify allergies, determine the root of your fatigue, and much more. IF YOU ENJOYED THIS ARTICLE, BE SURE TO CHECK OUT OUR OTHER BLOGS! Next ArticleAre You Concerned That You Bruise Too Easily? Previous ArticleDo You Have Flexible Spending? Make Sure You Use It – Don’t Lose It!